HYDAC shuttle valves are shut-off valves with one outlet and 2 inlet ports. 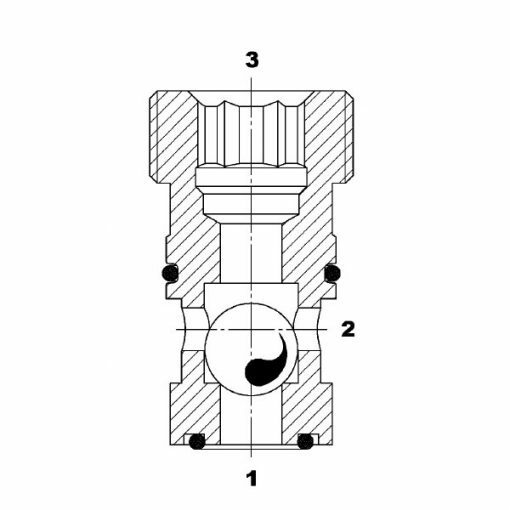 Therefore, the connection of the inlet port with the higher pressure is automatic with the outlet port. In this case, it closes the other port. Shuttle valves are particularly useful for installation in control circuits with pilot-operated and remote controlled directional valves, with variable and control pumps and in logic circuits.